Contemporary art for sale online by graphic impressionist Solveig. 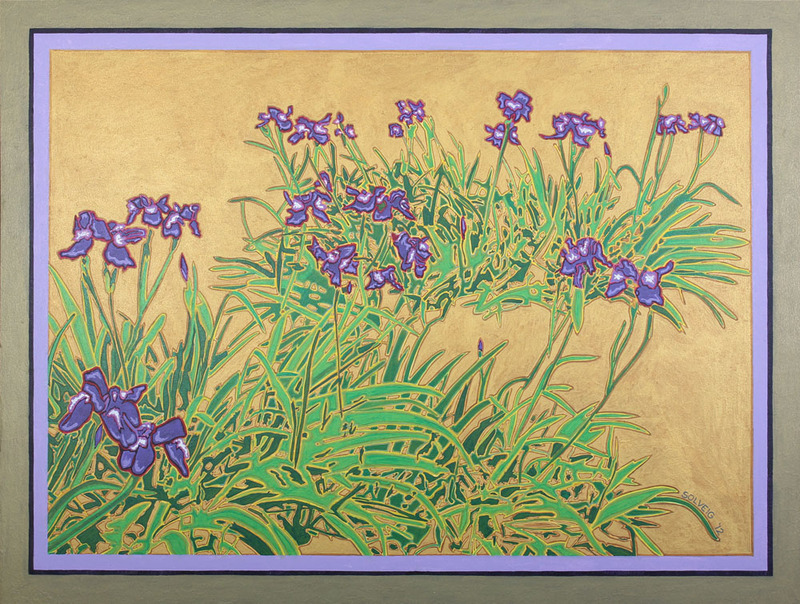 Purple Flag Irises growing in a sea of gold. Little alchemists transmuting gold into exquisite beauty.